On Sunday, December 13, Will’s Way hosted its second annual cookie exchange at Peace, Water, Winery located in Carmel, Indiana. This year’s cookie exchange exceeded our fundraising goal by 20 percent. We raised more than $3,000 to help kids with type 1 diabetes. Many people in attendance were friends, family and local businesses who have supported Will’s Way’s efforts since its inception. There were also new faces who were introduced to Will’s Way’s mission as well as to the “Will” behind the Way. 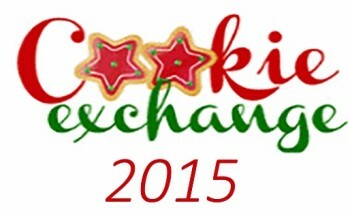 Thank you to those who attended and to all of our sponsors that made the 2015 Cookie Exchange a great success. If you’re interested in attending next year, please contact us today. And, to see more pictures of the event, like us on facebook. In 2014 Will’s Way launched its ambassador program. The teen-fueled volunteer program has helped many community members while generating hundreds of donations to benefit the families we serve at Will’s Way. Not only are these young adults passionate about stopping the spread of type 1 diabetes myths, but they also like to get creative while spreading the truth. Samantha Wolfe and Izzy Fray joined the “Sugar Does Not Cause Type 1 Diabetes” conversation on Twitter. Join Samantha, Izzy and our Executive Director, Lisa Oberndorfer, in addressing the distasteful “jokes” shared by the Crossfit CEO. Post a “show us your sugar” video. Don’t forget to use the hashtag #t1dtruth. 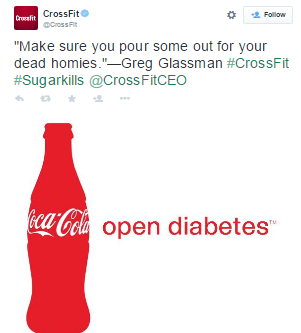 Nick Jonas is not the only person upset with Greg Glassman, the CEO of Crossfit. If you haven’t been following along on twitter, here’s a recap. Yesterday the Crossfit CEO tweeted this. Jonas, who was diagnosed with type 1 diabetes at the age of thirteen, was not impressed with Glassman’s ignorance. And, neither are thousands of others who support spreading the truth about type 1 diabetes and not the myths. Many diabetics and their mothers, fathers, sisters and friends showed their disgust on social media and are still going strong 24 hours later. Join the conversation. Spread the truth! Educate others! Find us on Twitter @TIDWillsWay. 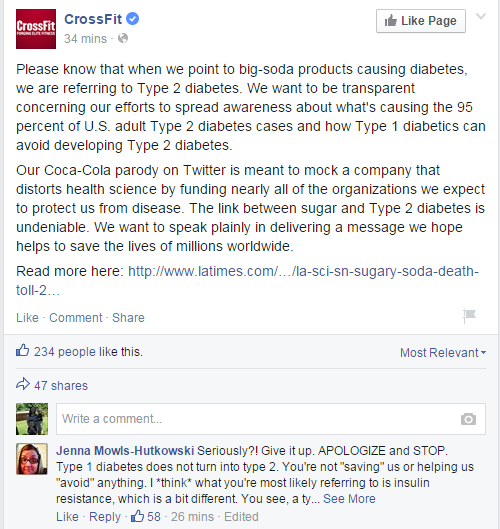 Or check out Crossfit’s explanation on Facebook and share your #t1dtruth. The last day of school is fast approaching. Pools have opened, and sunscreen has been purchased. With every changing season (and most of the time in between) good-intentioned people comment about what Will should eat or shouldn’t; should do or shouldn’t. We chalk these conversations up to people who want the best for Will, but sometimes what you think you know can hurt someone with type 1 diabetes more than what you don’t know. Here are 5 type 1 diabetes summertime myths that may help you show support to your family member or friend. Eating too much sugar causes type 1 diabetes. Doctors and scientists have not yet determined what causes type 1 diabetes, but they do know that there is no relation between type 1 diabetes and eating too much sugar. So, this summer when your type 1 diabetic friend asks you to join them at Handels, don’t judge, say yes with a smile and order the birthday cake flavor –it’s so good! Kids with type 1 diabetes can never eat sweets. This is not true. Just like everyone else, they can eat sweets in moderation. They must always be aware of their glucose levels. And, sometimes, if their levels are too low, eating something sweet will help. Running around and participating in summertime activities is not healthy for a type 1 diabetic. This is just silly. Kids with type 1 diabetes can participate in any activity that a child without type 1 diabetes can. Regular exercise is important in everyone’s life, especially a type 1 diabetic. So, this summer, if you want to invite your type 1 diabetic friend to play basketball before heading to the pool; don’t think twice about it. Extend the invite. Kids with type 1 diabetes are stressful and will always have complications. Summertime sleep overs and day trips to Cedar Point are definitely possible as a type 1 diabetic. If your child’s friend has type 1 diabetes, don’t let that stop you from inviting him or her to spend the day with your family. Talk with the parents of the child and get educated on the do’s and don’ts of type 1 diabetes. If you’re proactive and educated, you can most certainly have a complication-free summer day. If a child has type 1 diabetes; the parents did something to cause it. It doesn’t matter what your child is sick with, as parents, we always find a way to question what we did wrong. If they get the flu when they are little, we think, “Did I wash their hands after we got home from the grocery store?” When your child is diagnosed with type 1 diabetes, you immediately wonder if you did something to make them this way. Then – you become educated. You realize nothing you did or didn’t do caused this. And, hopefully others become educated enough to realize, you are not to blame, and they stop judging. Again, what they “think” they know can do more damage than what they don’t. My son Ben, now 18 was diagnosed with Type 1 at age 10. Our family loves to travel and we did not let the rigors of diabetes management prevent us from traveling every spring break or summer to places like San Diego, San Francisco, Arizona, and even overseas to Rome, Athens and Munich. We made a plan, took extra supplies and insulin and adjusted his pump for the time zone changes. We estimated as best we could on carb counts. And of course, we were always with him as his two primary resources. 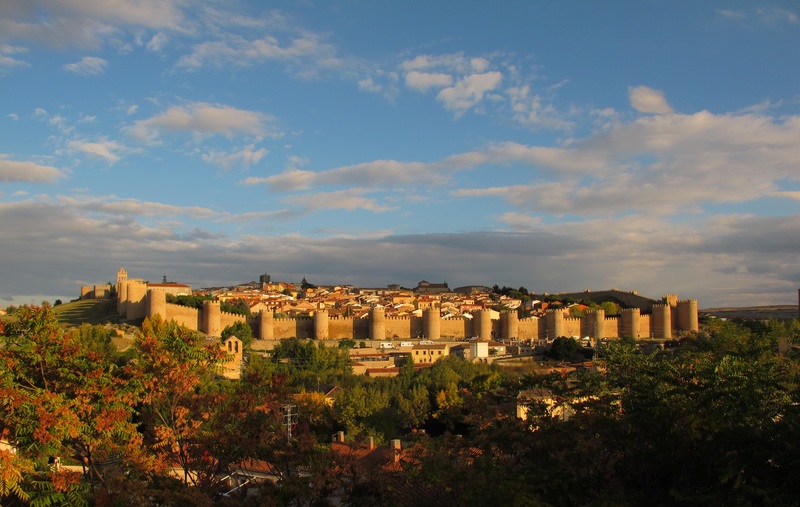 Then, this past summer he had the opportunity to do a foreign student exchange – we would host a student from Spain for two weeks and Ben would travel back to Spain and spend two weeks there. Without us, which of course was a little daunting. He wanted to do it and it was an amazing opportunity for him. So, we agreed to do it and set about making our plan. At around that time, my son and I attended a Type One nation event here in town. One of the session speakers was a young lady talking about managing her type 1 diabetes when she went away to college. She even mentioned that she had spent a semester traveling overseas with type 1 diabetes. We asked her a ton of questions and we were both excited about his upcoming adventure. A week later, there was a Team Captain JDRF event with some informal break out sessions and I joined the table for parents with teenagers. Some of the parents were talking about how they were afraid of letting their son/daughter go off to college because they were afraid to let the reins of diabetes management go completely. 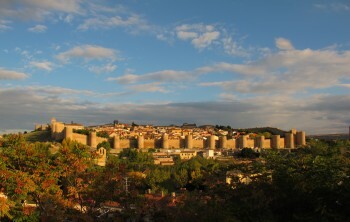 When I said I was sending my son to Spain for two weeks to live with an exchange family, they looked at me like I was crazy! They told me there was no way they would do that (and it was at least four different parents voicing this). So, now I wasn’t as sure of our decision to send him and doubts and worries crept in. Until…we saw our wonderful endocrinologist who thought it was a great idea and that Ben, at 17, should be able to manage his diabetes by himself for two weeks. She wrote a formal letter stating his diagnosis and that he had to carry all supplies with him – as well as food and drink if need be – on his person at all times while he traveled. Even though Ben is on a pump, she gave us an extra novalog pen and lantus pen in case he needed them. We got an extra insulin bottle for him to take with the help of our pharmacist. We packed his old pump and four weeks’ worth of pump supplies just in case. We put this all in one backpack along with glucose tabs, his glucagon and other snacks that he carried at all times. We sent a temporary letter allowing the host family to seek medical treatment for our son. We gave them (the host family) verbal instructions and then sent an email with specifics on what to do if Ben’s blood sugar became too low. Well, Ben went off and I prayed and worried because – hey, I’m a mom and I too am used to holding those management reins – but he had an AMAZING experience! He went low a time or two, but handled it fine. He went sailing, took surfing lessons, and even got to spend a weekend in Madrid. It was an unforgettable experience for him and just another way to prove that having type 1 diabetes does not mean he has to miss out on life’s great adventures! Thank you for helping our family overcome the huge out of pockets and deductibles that are so commonplace nowadays. It's horrible to realize your child's monthly medical expenses are more than your rent or a mortgage payment. In a world full of selfishness and broken healthcare, you gave us hope. Such a wonderful organization! Thank you for helping us with getting my son his first pump. It has been life changing for us! I hope one day to be able to pay it back! I couldn't be more grateful for the help that Diabetes Will's Way has provided us. Lisa and her company helped us when no one else would. I want to thank Diabetes Wills Way for helping us get the Dexcom transmitter for my daughter. Insurance stopped covering it and they were able to help us out with 2 transmitters that will last us for he next 6 months. Without the transmitter, we struggled to find her lows. My 6 year old rarely recognized her lows and it was so important to have the transmitter! Thank you so much and it was a huge blessing! This organization stepped in and helped when no one else would because we already had insurance (even though it didn't help a whole lot!)! Will's Way has touched our lives and our hearts with their desire to help and we feel that we can never repay their generosity! Will's Way is a non-profit organization dedicated to helping kids affected with Type 1 diabetes and the financial burden associated with the medical costs maintaining this lifelong disease. Their first recipient is receiving an insulin pump, which was not an option due to the financial cost! Way to go Will's Way!